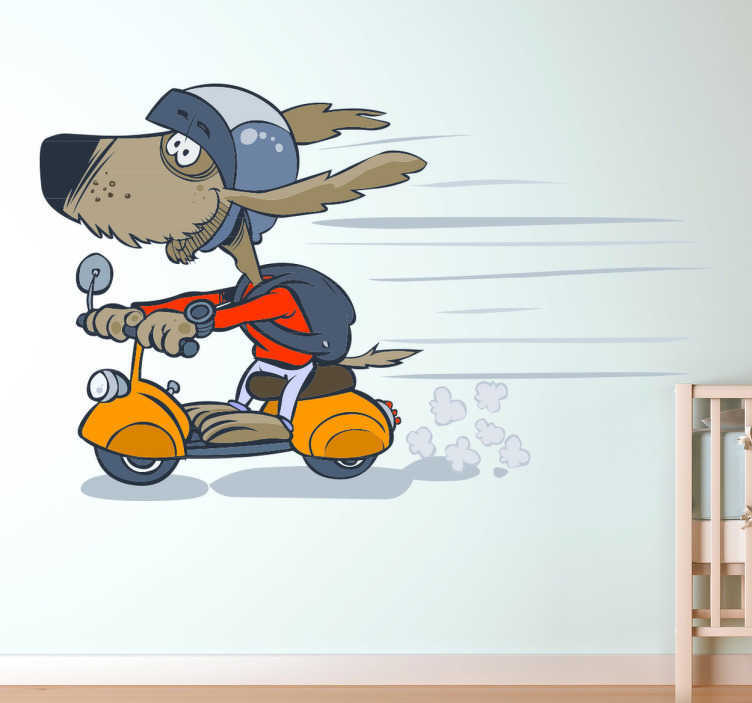 Animal Stickers- Fun and playful illustration of a dog on his scooter. Cheerful design ideal for decorating your kids bedroom with. Our nursery wall stickers are available in a various sizes. The kids dog decal is easy to apply and leaves no residue on removal.